Yeah, I’ve still got the Tumblr. It’s still a place where I can post little embryonic ideas before they grow into something bigger that I write about here, as well as stuff that doesn’t really need to see the light of day outside Tumblr. But in the past year, it’s become one of the largest drivers of traffic to my blog. It’s become quite symbiotic. This blog sends people to my Tumblr, and then the Tumblr bounces them back. Magic! Just like I did last year, I’m posting the ten most popular posts of the year. Just click the images to see where they are now. Peeking just over 20,000 notes, this piece by Kyle on why a Wonder Woman movie would, in fact, work was by far the most popular piece of content I put on Tumblr this year. This the artwork for Seiken Densetsu 3, a video game released in Japan but which never hit the U.S. It’s kind of a pet interest of mine. The artwork always looked especially fantastic to me, and when the man who drew it, Hiro Isono died this year, I quickly wrote up a little something on Tumblr. It made me very happy that people responded. I think this four-panel sample from Team Gold Force 4 speaks for itself. Read the full comic here. People on Tumblr like pixels. 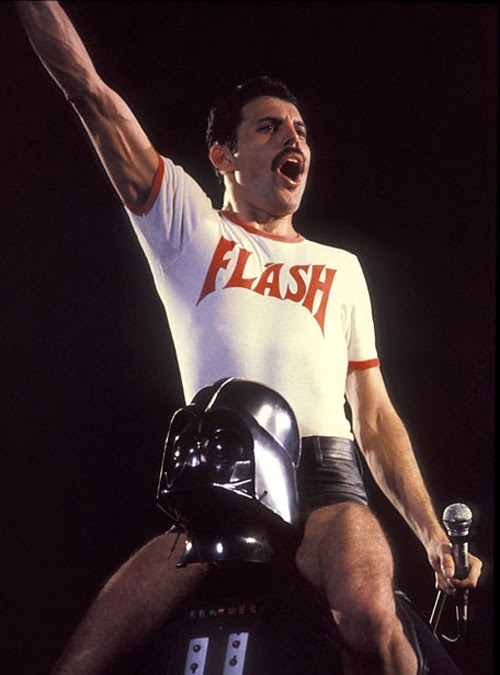 Perhaps unsurprisingly, people on Tumblr also like pictures of dead celebrities in inexplicable contexts. Of course, this isn't a lesson that’s new to 2013. 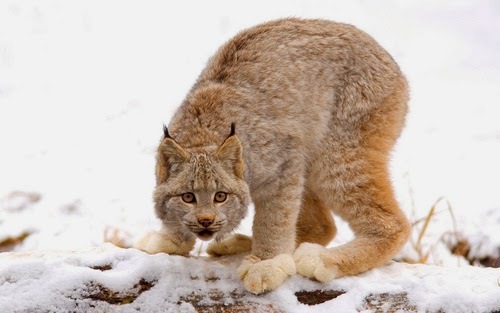 This photo of the Canadian lynx. Fearsome thought it may be, I’m believe that its popularity on Tumblr stems from the fact that its fuzzy feet look like kitty slippers. Sometimes I’ll hesitate to post something here because I’ll decide, “No, that’s too geeky, too niche,” and I’ll just dump it on Tumblr. Like this, when I realized that the new Super Mario game slipped Princess Peach into her original, 1985-era color scheme from Super Mario Bros. Neat, but maybe not especially blogworthy. And at No. 10, one of the most delightfully strange things I saw all year: traditional Bulgarian babugeri costumes, as photographed by Charles Fréger, via this article on Slate. Did everyone else know that this is what the guy who is the current, official voice of Mickey Mouse looks like? (Um, he’s the one on the right.) He’s Chris Diamantopolous, and he has appeared on the most recent season of Arrested Development and the final season of The Office. He’s also married to Becki Newton from Ugly Betty, who I carefully replaced with Mickey Mouse to make the image you see here. I was actually proud of this Photoshoppery.